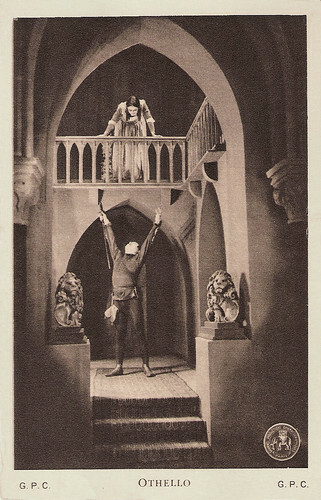 The German silent film Othello (Dimitri Buchowetzki, 1922) is based on William Shakespeare's classic stage play of jealousy and deceit. 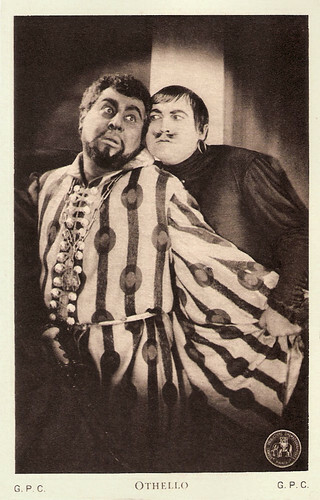 Werner Krauss plays the treacherous Iago, who plans to ruin the life of Othello (Emil Jannings) by provoking him to jealousy. French postcard by Edition de la Cinématographie-Française, Paris. Photo: G.P.C. Publicity still for Othello (Dimitri Buchowetzki, 1922) with Emil Jannings and Werner Krauss. 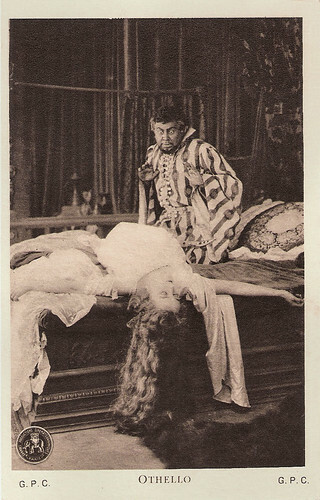 French postcard by Edition de la Cinematographie Française. Photo: Grandes Productions Cinématographiques (G.P.C.). Photo: publicity still for Othello (Dimitri Buchowetzki, 1922). 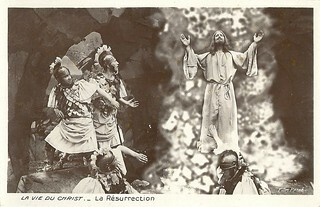 French postcard by Edition de la Cinematographie Française. Photo: Grandes Productions Cinématographiques (G.P.C.). Photo: publicity still for Othello (Dimitri Buchowetzki, 1922) with Theodor Loos and Ica von Lenkeffy. 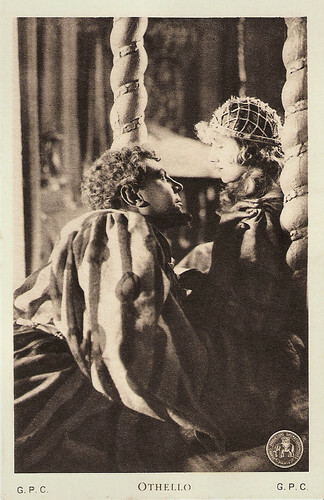 As Venice welcomes their victorious general, Othello the Moor (Emil Jannings), back to the city, some of them are waiting for Othello to choose his new lieutenant, while others are busy courting the popular Desdemona (Ica von Lenkeffy), the daughter of a Senator. 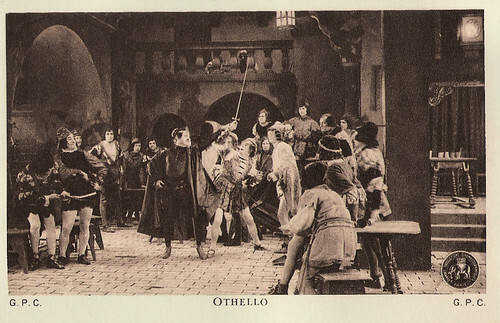 Othello chooses the loyal Cassio (Theodor Loos) as his lieutenant, arousing bitter jealousy in Iago (Werner Krauss), another soldier, who vows to scheme against his general. That same night, Othello elopes with Desdemona. Othello is soon sent to Cyprus to repel a Turkish invasion, and he arranges for Iago and his wife to bring Desdemona with them to Cyprus. 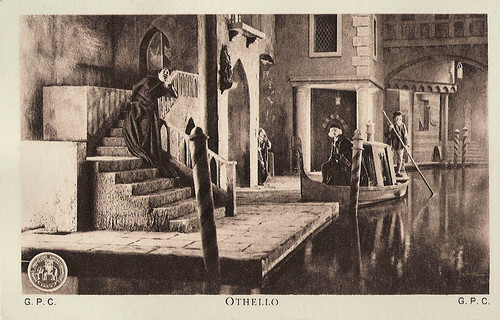 When Iago's wife learns of a treasured handkerchief that Othello gave to Desdemona, this provides Iago with an idea that he hopes will destroy Othello by provoking him to jealousy. How can a filmmaker possibly retain the beauty of Shakespeare's prose without congesting the film with endless title cards? 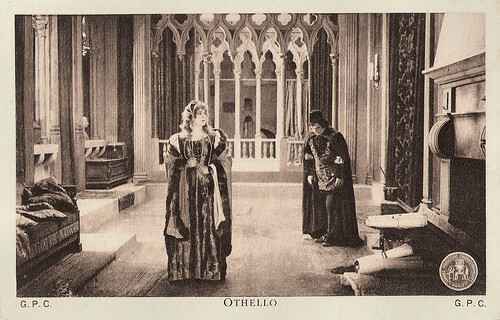 A non-dialogue Shakespeare film seems like a contradiction in terms, so very few silent adaptations of his plays have stood the test of time. 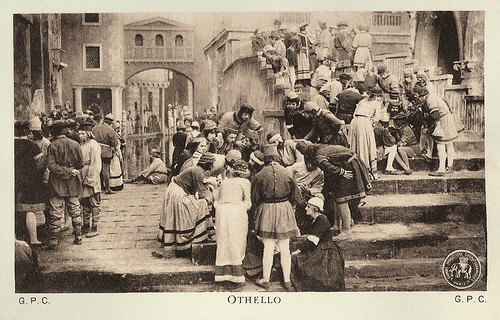 This German production of Othello (1922) has fared better than most, due largely to the combined talents of the actors Emil Jannings and Werner Krauss, and Russian-born director Dimitri Buchowetzki. Wes Connors at IMDb: "The production is nicely staged, with everyone finding their marks. Its costumes and sets are very well designed. The adaptation is faithful enough to Shakespeare's envious storyline. 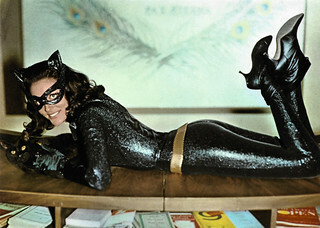 But, watching two overly grand old actors is the film's main calling card, presently." 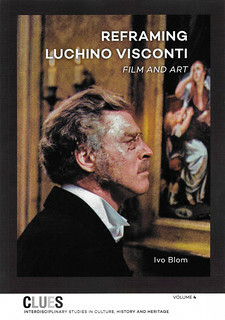 French postcard by Edition de la Cinematographie Française. Photo: Grandes Productions Cinématographiques (G.P.C.). Photo: publicity still for Othello (Dimitri Buchowetzki, 1922) with Emil Jannings and Ica von Lenkeffy. Sources: Wes Connors (IMDb), Bret Wood (TCM) and IMDb.